The Service Automation Framework (SAF) is a set of best practices for the automated delivery of services. The concept builds further on the self-service practices of ITIL and IT Service Management. In its current form, the SAF is published as in a series of volumes, covering different processes of service automation. The initial ideas behind the Service Automation Framework were originally developed by Jan-Willem Middelburg, whilst leading a service automation consulting project for a European insurance company in 2014. The objectives of this project were to automate the service offering of the insurance company and make the services available to end-customers through a self-service portal. The insurance company envisioned that all customers should be able to arrange their services online – from changing their policies, to filing their insurance claims. Because Jan-Willem could not find any guidance or processes in existing BPM and IT Service Management methodologies, he decided to develop a framework specifically geared towards the automation of services. These lessons where combined into the Service Automation Framework book, which was published in 2016. Since the launch of the book, many people and organizations have become involved with the further development of the framework, and a global certification program was developed by APMG International. The Service Automation Framework is now maintained and updated by the Service Automation Framework Alliance, an independent body of knowledge for the advancement of service automation. 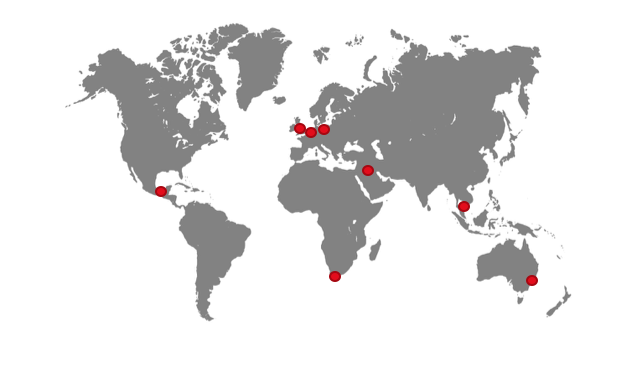 The Service Automation Framework Alliance (SAFA) is a leading global provider of progressive, vendor-neutral training and certifications programs including the Service Automation Framework curriculum. With a worldwide network of certified trainers, training partners, and testing centers, the SAFA training courses and accreditation programs have become internationally established and further proven through a series of published books, papers, and on-going industry research. The Service Automation Framework® Certification Program is a curriculum that was originally written by Jan-Willem Middelburg and evolved into a program which addresses a specific proficiency associated with service automation best practices. 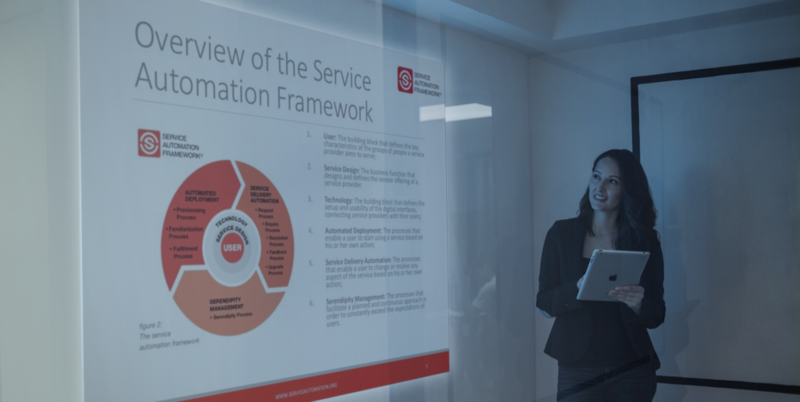 The highly modularised format of the Service Automation Framework curriculum allows it to be adapted to various types of training requirements. The availability of proctored testing via APMG-International testing facilities, will allow you to measure the proficiency of individual participants to better assess the assignment of project responsibilities. With a global network of Certified Trainers and consultants, the Service Automation Framework Alliance looks forward to providing you with continual support with the implementation and dissemination of course materials for educational and exam preparation purposes. Corporate Partners: Please visit this page if your organization implements Service Automation solutions and services and would like to embed the Service Automation Framework practices. For all other inquiries, please contact us through our contact form.